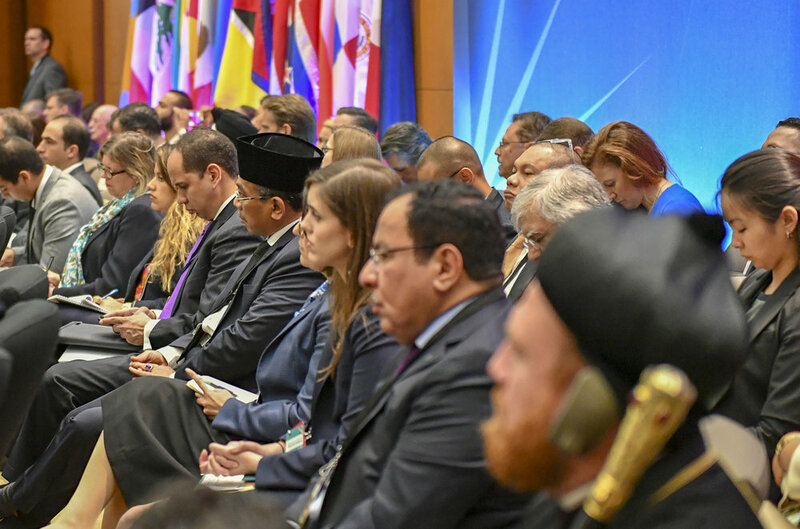 U.S. Secretary of State Mike Pompeo gathered counterparts from 89 countries and International Organizations for the first ever Ministerial Meeting on Freedom of Religion and Belief (FORB) in Washington, DC on July 26, 2018. 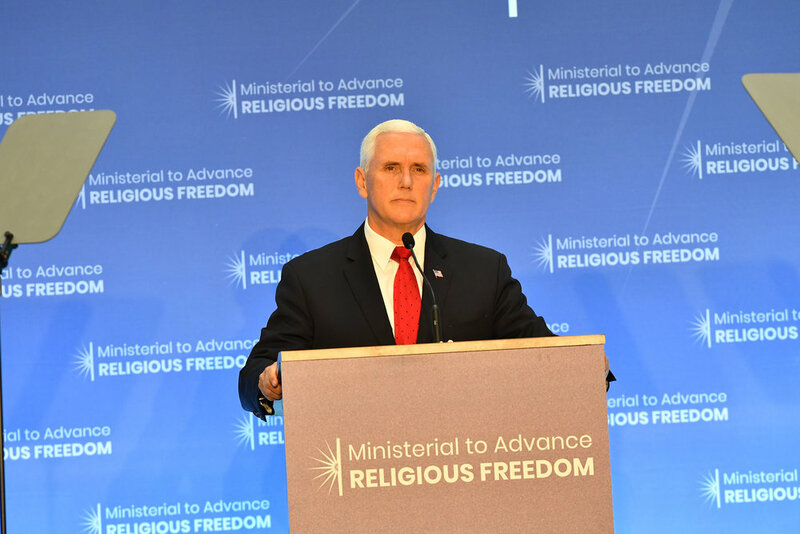 High-level speakers included Vice President Mike Pence, U.S. Ambassador to the UN in New York Nikki Haley and Senior Advisor to the President Jared Kushner. The Austrian delegation was headed by Susanne Raab, Undersecretary for Integration at the Austrian Foreign Ministry. From left: Natalie Herold, Ambassador Haley, Susanne Raab. Read the Austrian written statement here or its shorter oral version here. 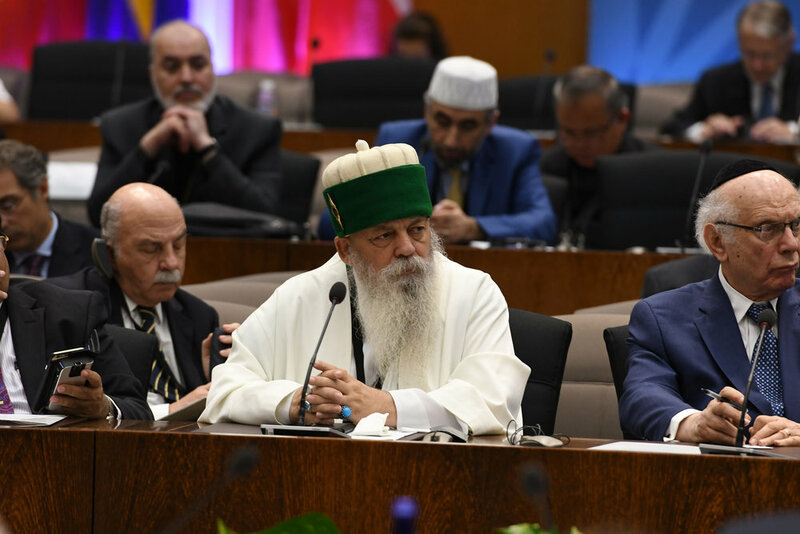 The governmental conference was preceded by two days of discussions among civil and religious leaders from around the world. 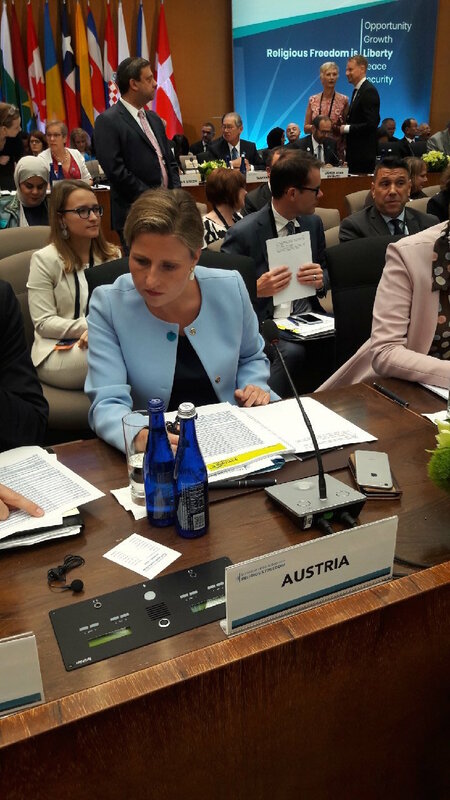 Susanne Raab, Undersecretary for Integration at the Austrian Foreign Ministry, headed the Austrian delegation at the Ministerial to Advance Religious Freedom. U.S. 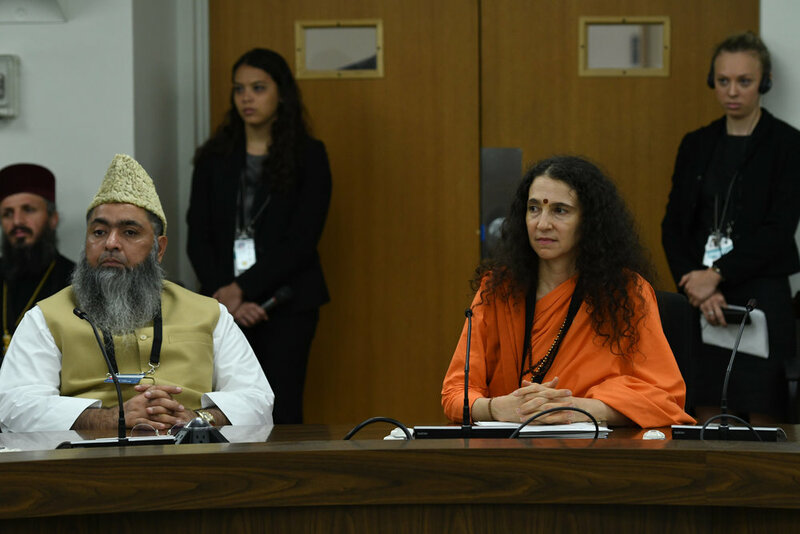 Ambassador at Large for International Religious Freedom Sam Brownback, Archbishop Mor Nicodemus, Nadia Murad, and Deputy Secretary of State John J. Sullivan at the Ministerial to Advance Religious Freedom at the U.S. Department of State in Washington, D.C. on July 25, 2018. [State Department photo/Public Domain]. Participants at the Ministerial to Advance Religious Freedom at the U.S. Department of State in Washington, D.C. on July 24, 2018. [State Department photo/Public Domain]. Participants at the Ministerial to Advance Religious Freedom at the U.S. Department of State in Washington, D.C. on July 25, 2018. [State Department photo/Public Domain].